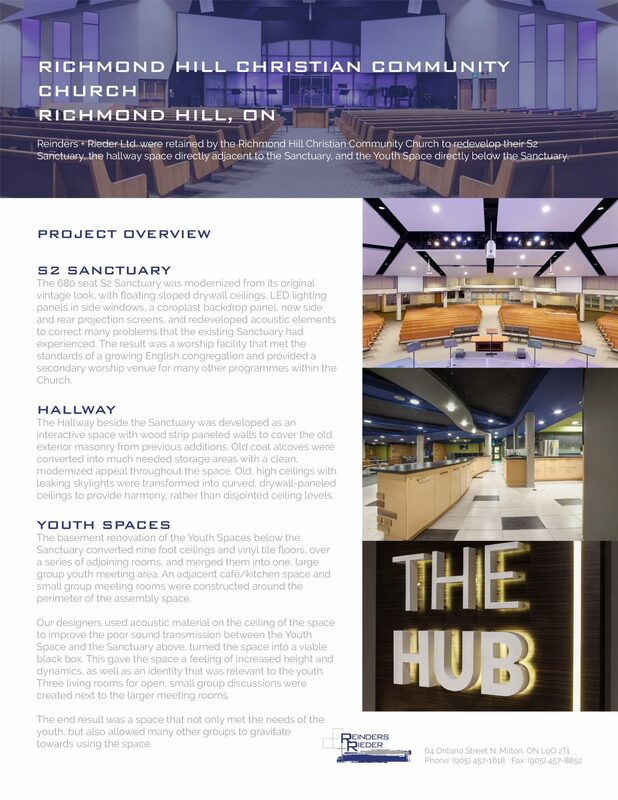 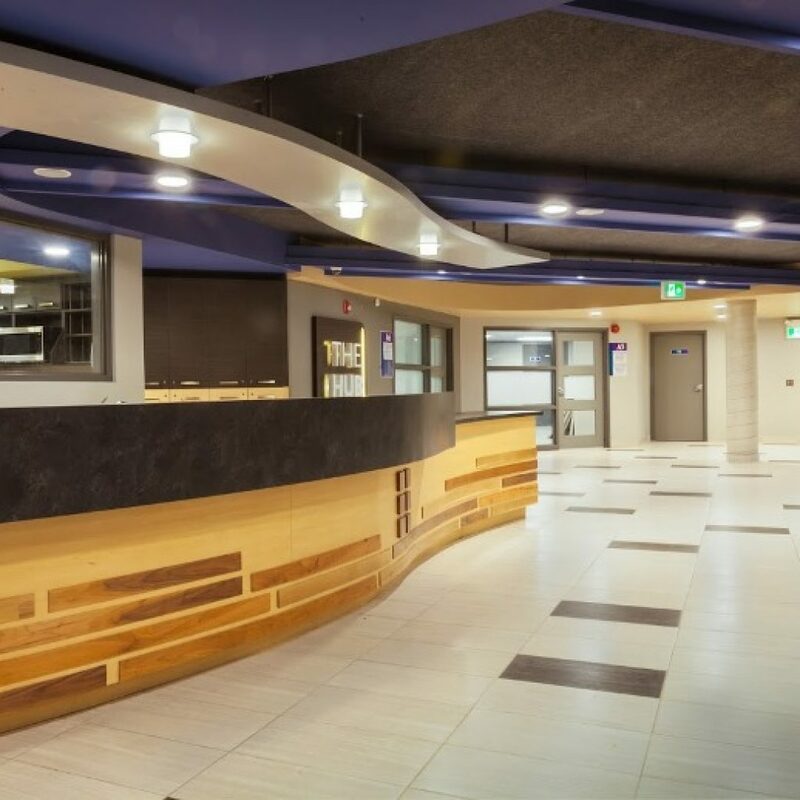 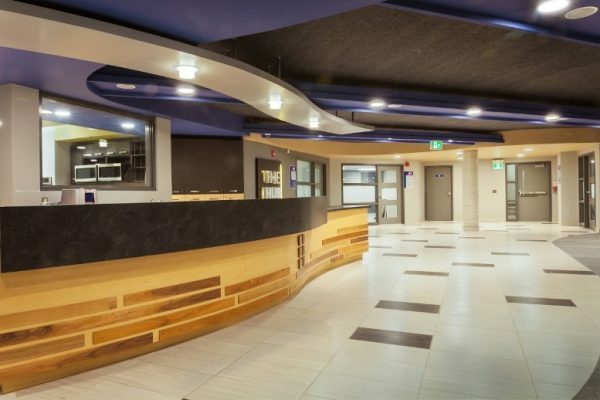 Richmond Hill CCC | Pray Project | Reinders + Rieder Ltd.
Reinders + Rieder Ltd. were retained by the Richmond Hill Christian Community Church to redevelop their S2 Sanctuary, the hallway space directly adjacent to the Sanctuary, and the Youth Space directly below the Sanctuary. 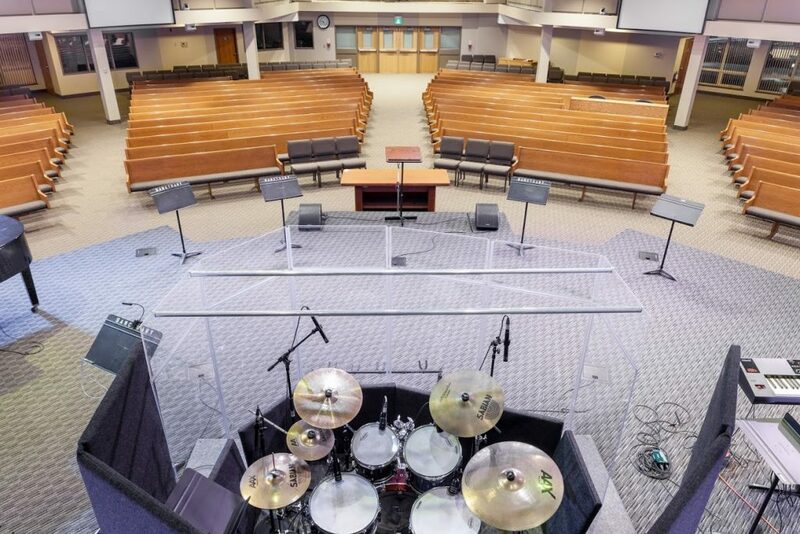 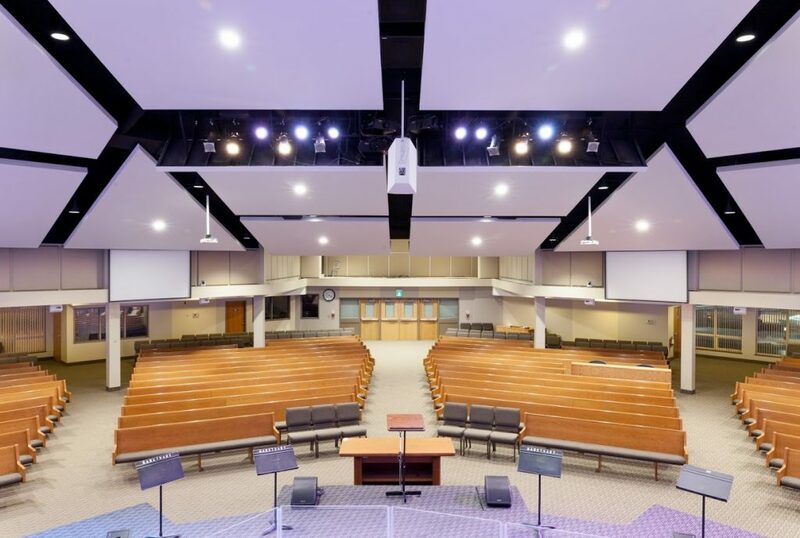 The 680 seat S2 Sanctuary was modernized from its original vintage look, with floating sloped drywall ceilings, LED lighting panels in side windows, a coroplast backdrop panel, new side and rear projection screens, and redeveloped acoustic elements to correct many problems that the existing Sanctuary had experienced. 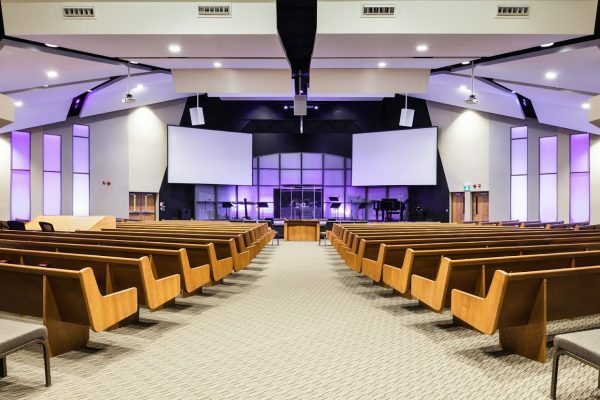 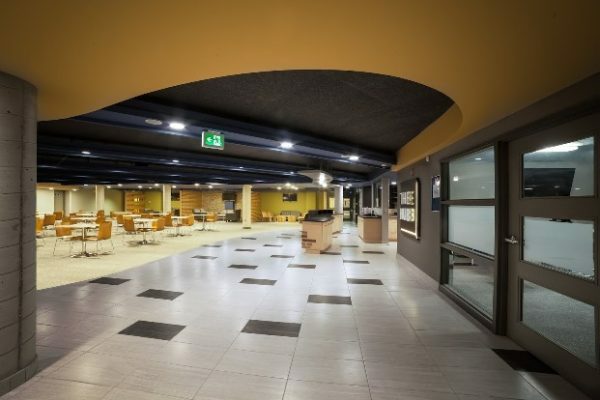 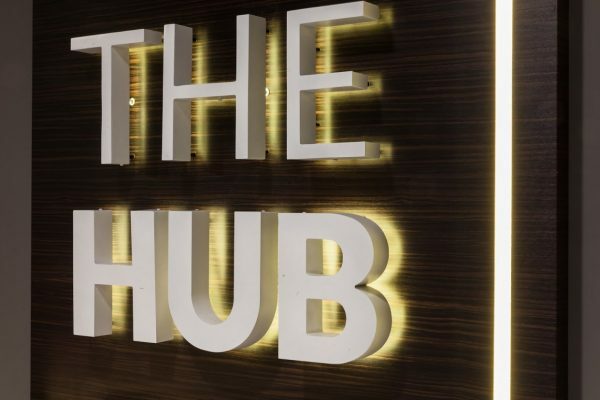 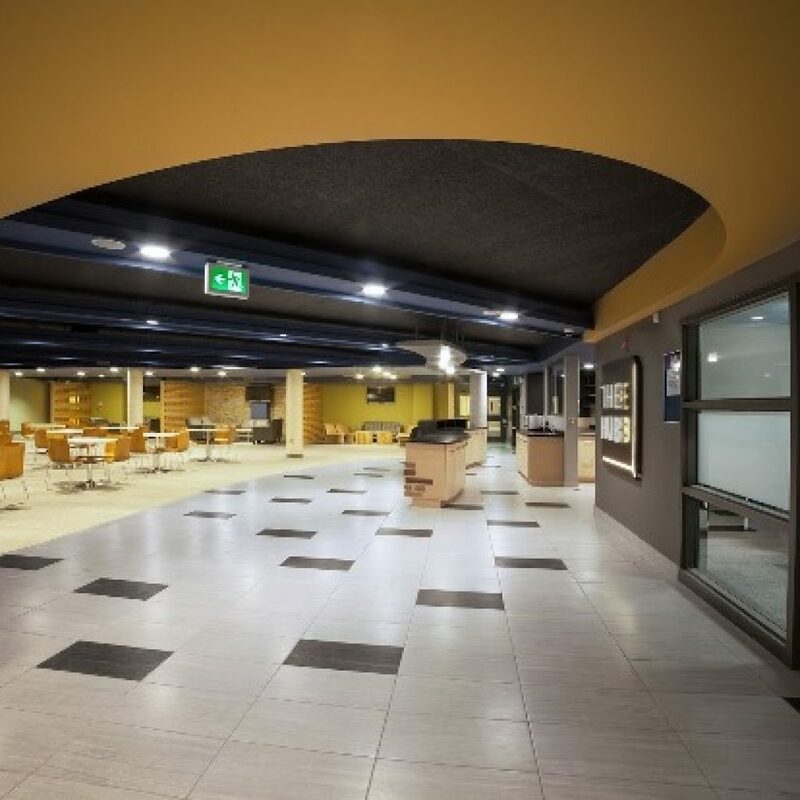 The result was a worship facility that met the standards of a growing English congregation and provided a secondary worship venue for many other programmes within the Church. The Hallway beside the Sanctuary was developed as an interactive space with wood strip paneled walls to cover the old, exterior masonry from previous additions. 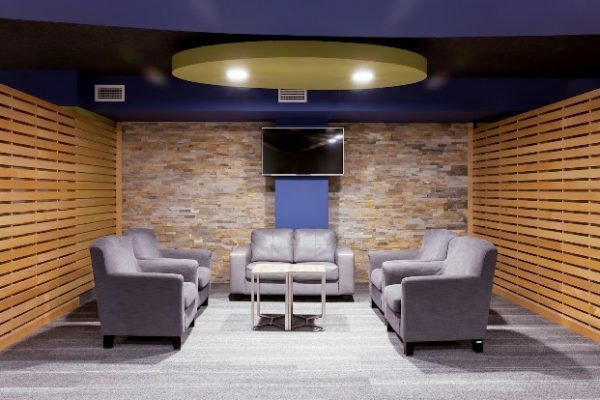 Old coat alcoves were converted into much needed storage areas with a clean, modernized appeal throughout the space. 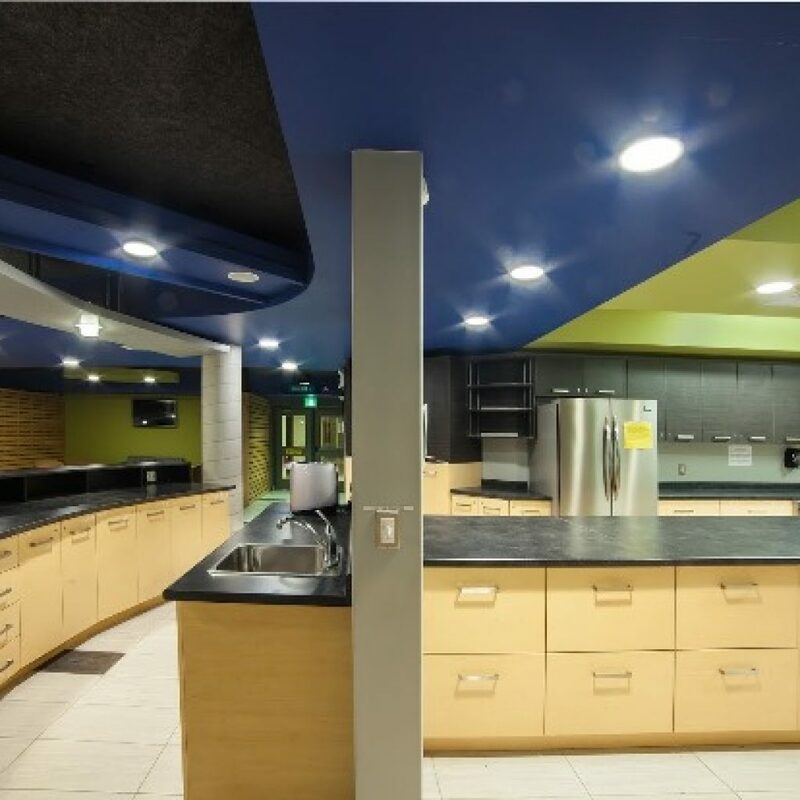 Old, high ceilings with leaking skylights were transformed into curved, drywall-paneled ceilings to provide harmony, rather than disjointed ceiling levels. 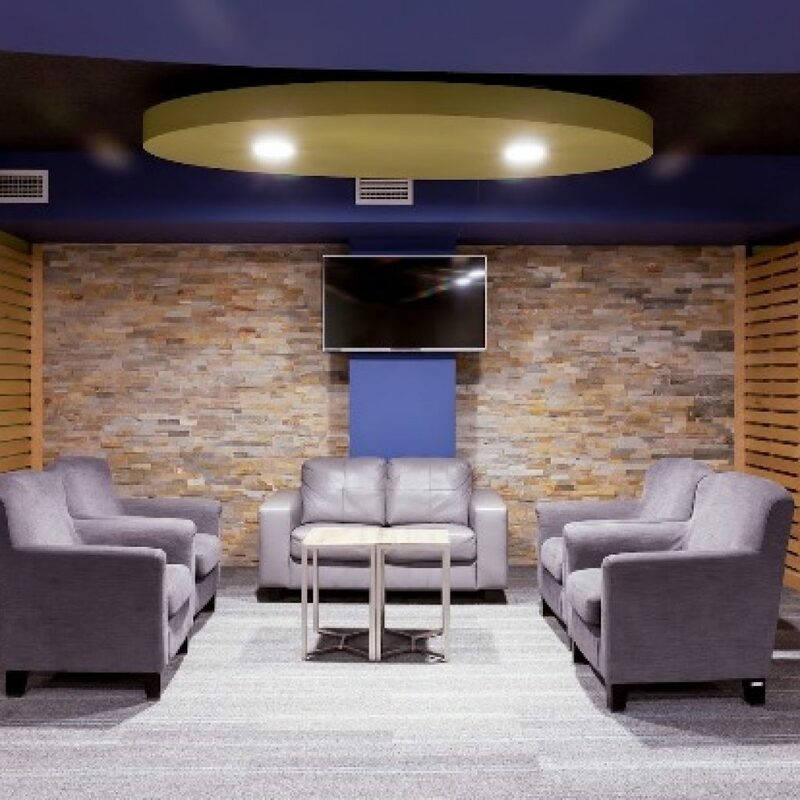 The basement renovation of the Youth Spaces below the Sanctuary converted nine foot ceilings and vinyl tile floors, over a series of adjoining rooms, and merged them into one, large group youth meeting area. 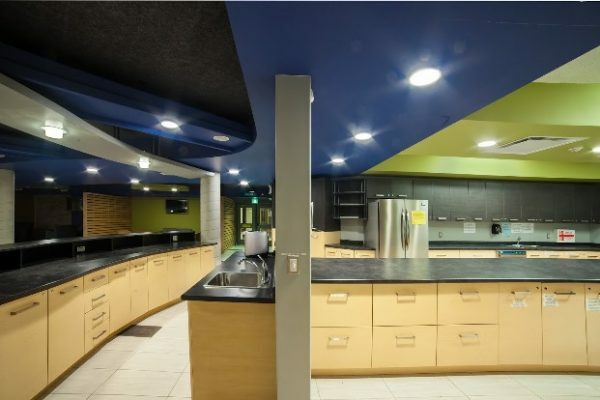 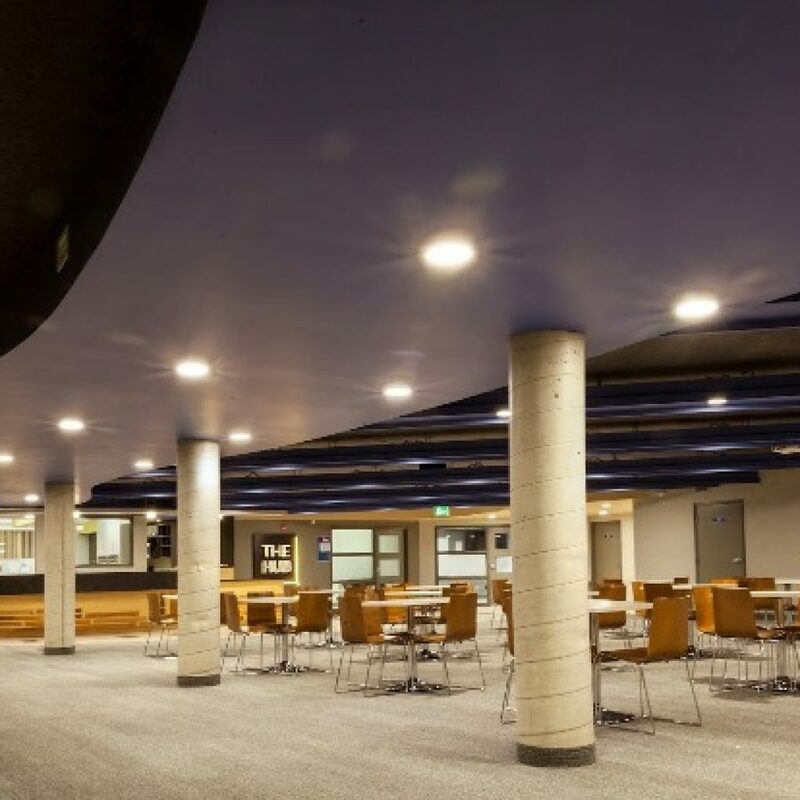 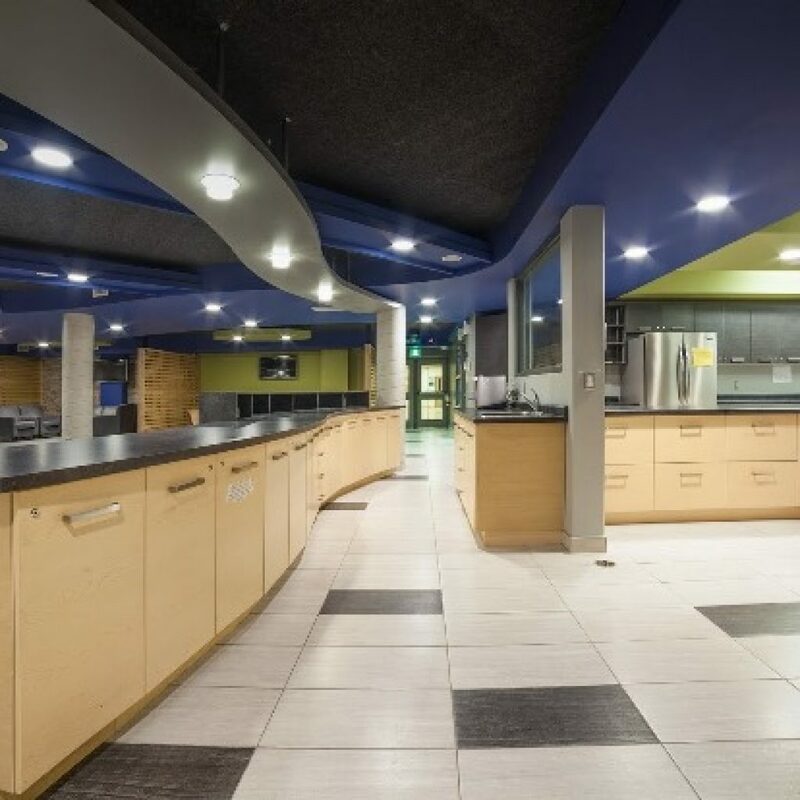 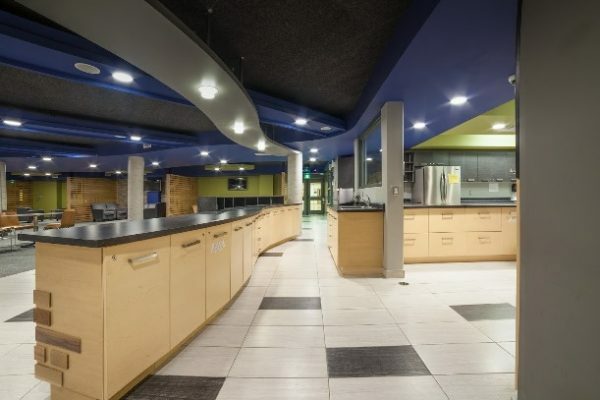 An adjacent café/kitchen space and small group meeting rooms were constructed around the perimeter of the assembly space. Our designers used acoustic material on the ceiling of the space to improve the poor sound transmission between the Youth Space and the Sanctuary above, turned the space into a viable black box. 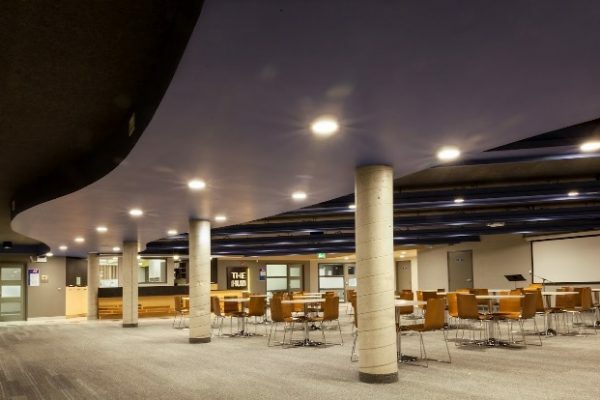 This gave the space a feeling of increased height and dynamics, as well as an identity that was relevant to the youth. 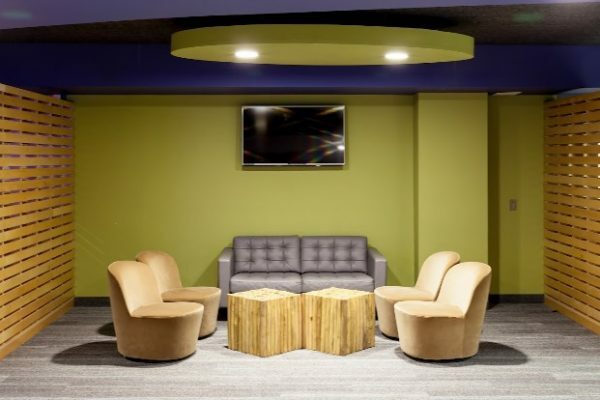 Three living rooms for open, small group discussions were created next to the larger meeting rooms. 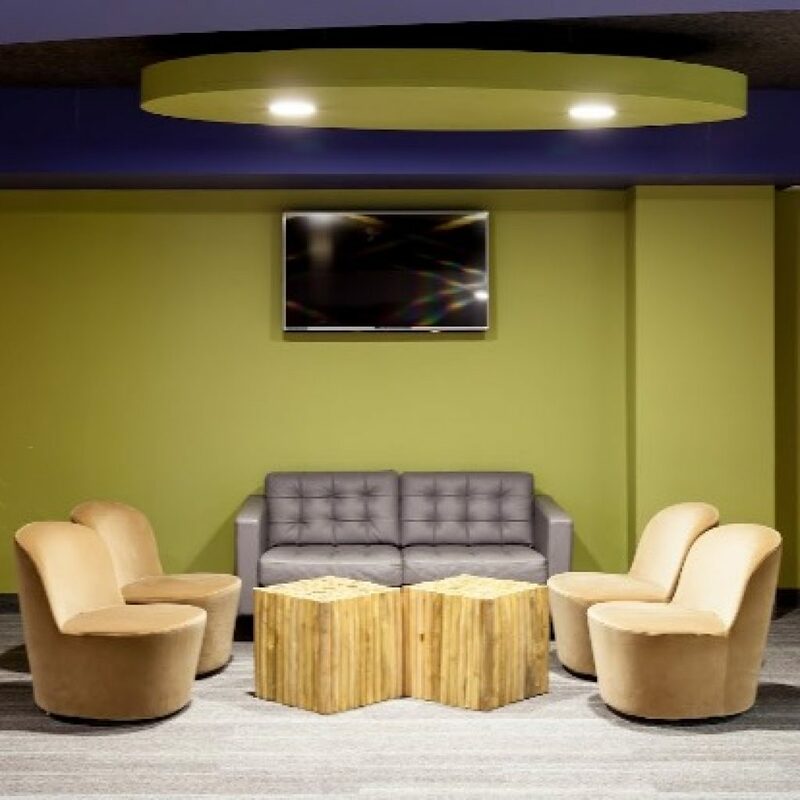 The end result was a space that not only met the needs of the youth, but also allowed many other groups to gravitate towards using the space.